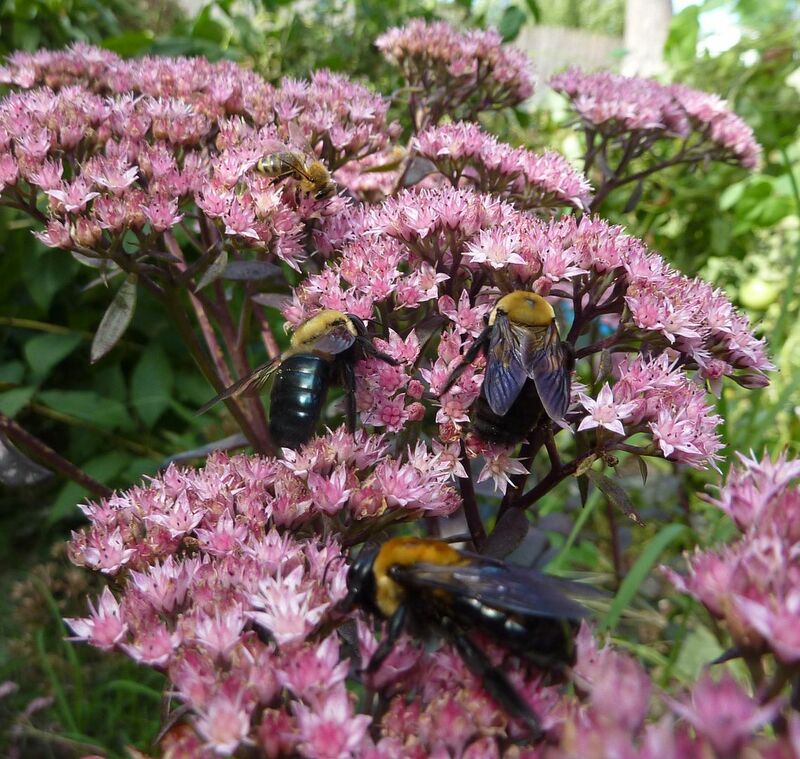 I don't know what it is about 'Black Jack' Sedum but bees just swarm the plant every year more so than other Sedums. 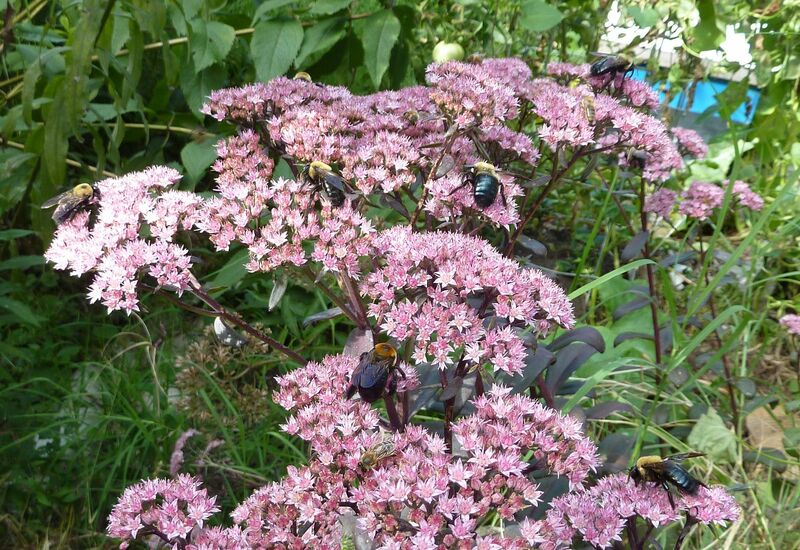 The other and more commonly sold 'Autumn Joy' Sedum is a bigger plant, has lots more flowers on it, but doesn't get anywhere near the amount of attention. 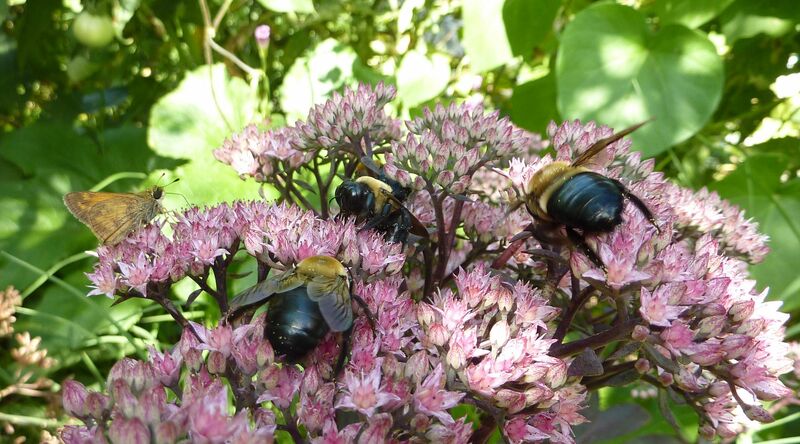 Maybe it's to do with the darker Sedums in general. I'm not even certain on the species name. Ideally I should be taking pictures of this plant during the "magic hour" where the sun has at an angle and lighting isn't as harsh. Work and other things have gotten in the way of that a lot lately so this is the best I could do. There are years when 'Autumn Joy' barely gets any attention at all.